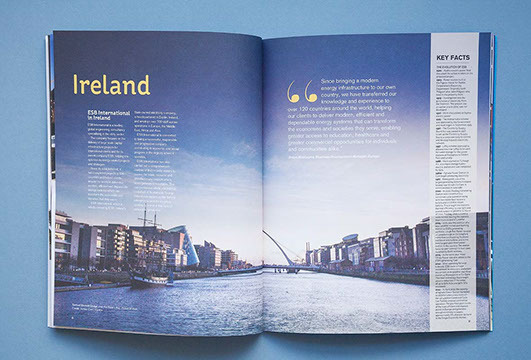 With the opening of the Ardnacrusha Visitor Centre in 2017, ESB wanted to offer free tours to the public and so we created promotional leaflets and produced goodie bags to distribute to local radio stations, newspapers and tourist offices. The results were phenomenal and all the tours booked out. 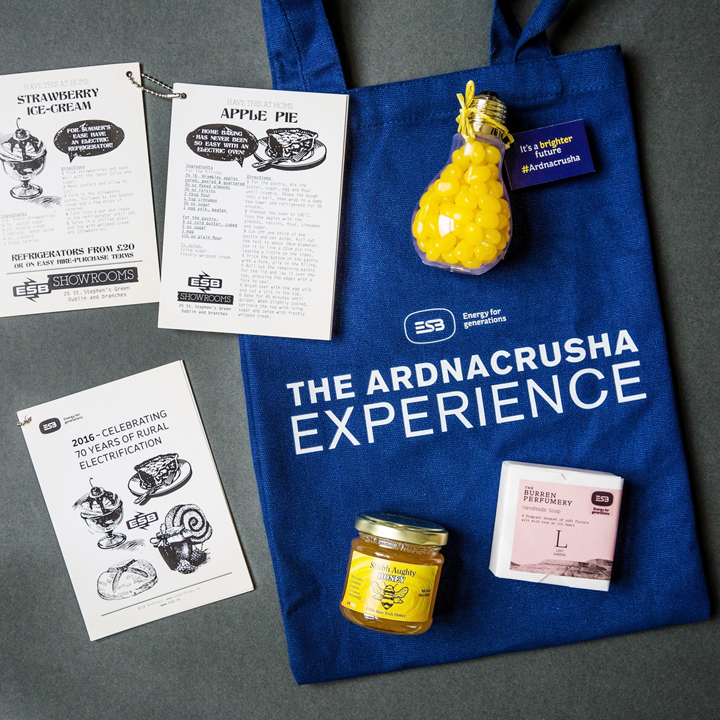 Each goodie bag contained a lightbulb with yellow jelly beans, local soap and honey sourced from the Burren and recipes that span ESB’s 70 years of electrifying Ireland. "My experience working with Zahra on this project was excellent. I felt Zahra was able to translate my very concrete ideas into engaging imagery. All the way throughout the design process, they remained engaged and flexible. The results were outstanding. 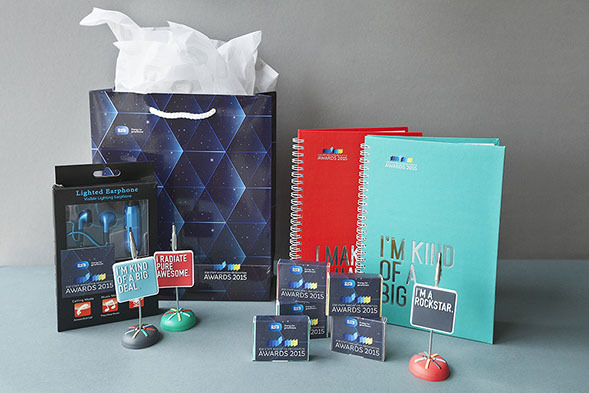 The suite of products we created became a centre-piece of the event. 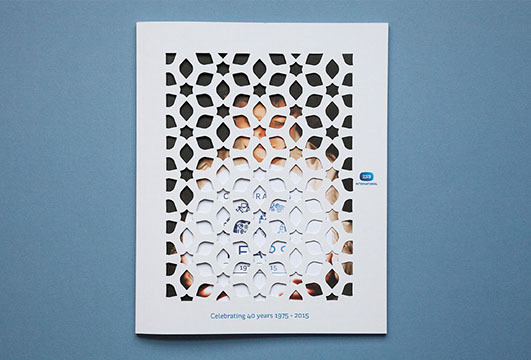 People were even asking for extra copies, to show their peers." 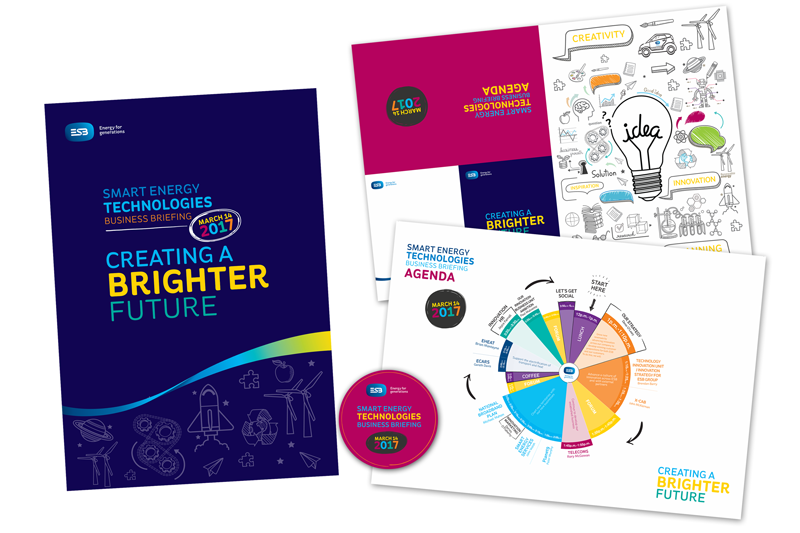 This project was creating materials for an internal staff innovation briefing at ESB. "Can I, once again, pass our thanks on to Zahra for a brilliant night last night. Ali and the team and all those involved in the design etc. were truly superb. The stars are still being talked about. You put the icing on the cake BIG TIME. I just couldn’t manage without you guys." 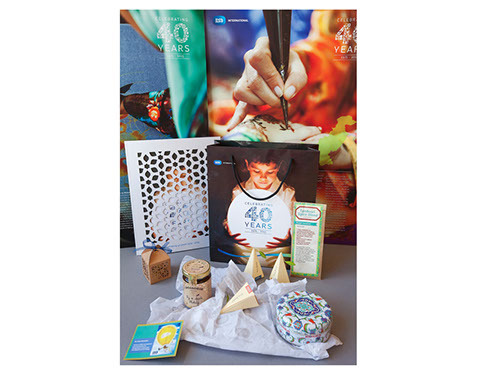 "We reached a new high with our event to mark 40 years of ESB International. It proves what happens when you let professional talented people get on with the job you have asked them to do. From my point of view it was seamless. I wouldn’t hesitate to recommend Zahra Media Group to any company. Many thanks for delivering on such professionalism with such good humour and fun as well." We provided support to ESB International for this milestone event by creating the initial invitations, e-invites and goody bags, sourcing the goody bag contents representing flavours from around the world and hand-made Irish chocolates with the event branding, designing and editing the commemorative programme celebrating the global influence of ESB International over the last 40 years. 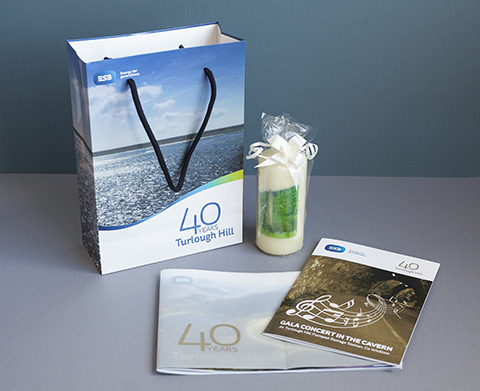 We provided support to ESB for the 40th Anniversary of Turlough Hill by creating invitations and goody bags, the programme for the event as well as a commemorative publication celebrating 40 years of Turlough Hill.